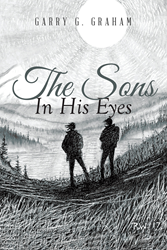 Recent release “The Sons in His Eyes” from Page Publishing author Garry Graham is a harrowing tale of desolation and survival for two brothers whose formative years were spent getting high and committing crimes with their loving yet sociopathic father. Garry Graham, a survivalist and author living in Redding, California, has completed his book “The Sons in His Eyes”: a story of astonishing hardship for two young boys from California raised by their criminal father in the unforgiving Alaskan wilderness. An epic story of two brothers raised in sunny California, then forced to live in the desolate wilderness by their survivalist father. The only way in or out of their residence was by boat, snowmobile, or airplane. Set in the picturesque Denali Mountains outside Nenana, Alaska, this is a true story. Both brothers have struggled with loneliness, heartbreak, and loss. Following years of slave labor by their father, they forget what it’s like to be kids. Year after year they toil in the frigid arctic weather, becoming survivalists themselves, but with criminal tendencies. They are societal outcasts. When these two boys finally escape the mountains and begin a new life in the nearby city of Fairbanks, they’re not free for long. They soon discover that their father has been brutally murdered while they’re away. To date, the cold case of their father’s murder is still just that—a cold case. For the rest of their lives, these brothers are chained together by the loss of their past, loss of their childhood, and the loss of a parent in the most violent way: murder. Published by New York City-based Page Publishing, Garry Graham’s new book is a shocking story of lost childhood, survival, and new beginnings. Readers who wish to experience this gripping and potent work can purchase“The Sons in His Eyes” at bookstores everywhere, or online at the Apple iTunes store, Amazon, Google Play, or Barnes and Noble.